Ready made bezel settings are a blessing, particularly in smaller sizes where they are super fiddly to create yourself. They are a great time saver and if you are just starting out making your own jewellery you may find them a good way to introduce stones into your designs, without having to solder bezel strip to a metal sheet back plate cut to the shape of your gemstone cabochon. 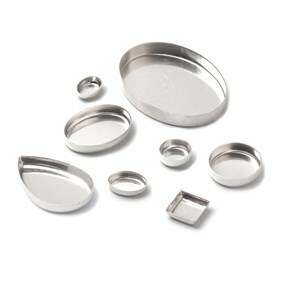 The bezel settings that are pictured here and that we have referred to are sold as loose settings so they can be soldered to your designs to make pendants, rings etc, the manufacturing process (die struck) means that these are made of a thin sheet of metal, however other ready-made settings, for instance, pendant, earring and ring settings may be cast, in which case they are usually thicker. Often these settings will fit your stones perfectly but that cannot be taken for granted and from time to time the setting will not always be as perfectly simple as placing the stone in the setting and either glueing in or rubbing over the bezel to hold the stone in place. Sometimes you will need to make some adjustments. 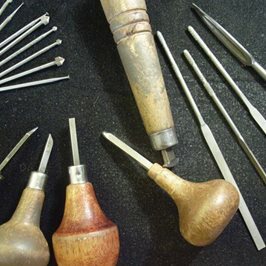 On this page we will give you some ideas of the ways in which you can do this (if needed) to ensure a good fit, learning these simple techniques will be essential to your skillset as a jewellery maker. Cabochon sizes - is size variation common? Commercially cut stones will have a slight tolerance in size variation. For instance, some of our 5mm cabochon stones measure with rarely more the 0.1mm to 0.05mm tolerance over or under 5mm (i.e. measuring 4.95mm - 5.1mm - this variance is not usually noticeable to the eye). This can vary and there will usually be plenty of stones that sit bang on the exact measurement, but they could vary up to 0.5mm (though usually much less than this) and this variance is influenced by the way they are cut, the supplier and where they are cut. The best solution is to design and make custom settings for individual stones, but this isn't always your preference or practical. Sometimes taking a shortcut and using a ready-made setting is the best option, but it is worth understanding a little about the expectation of commercially cut stones, the settings and the right techniques needed to make adjustments if necessary. Sometimes if a stone is a fraction larger or smaller due to the slight tolerance variation, it will seem like it will not readily fit the setting. Getting calibration completely exact with no tolerance is costly, so if you wanted truly perfectly calibrated sizes with absolutely no tolerance of size variation this would cost considerably more than you may expect to pay. This is the dilemma between buying a costly custom cut stone vs commercially cut gems. Even with an incredibly minor size tolerance of +/- 0.01mm on a stone and +/- 0.01mm on a bezel cup you could still have an oversized stone with a fractionally undersized bezel cup. Basic maths and engineering principles. So you have to weigh up cost vs precision. This is why we have put this page together for you, to help understand these things and add a few more skills to your arsenal. There are several ways that you can adjust a bezel setting to fit a stone that has a minor plus tolerance. Usually, you are only talking about a fraction of a millimetre and often a very small adjustment will make all the difference in allowing your stone to fit. Bear in mind that when you solder your setting onto the piece of jewellery you are annealing the metal (softening), this will assist somewhat in partially helping the stone fit easier as the metal will be a bit more pliable. Running the tip of a scraper or burnisher around the inside of the setting. Sometimes just this little flaring out of the top of the setting is enough to allow the stone to fit into place. You can also ever-so-slightly gently ease the top of the setting out using the tips of pliers (half round pliers can be useful for this). 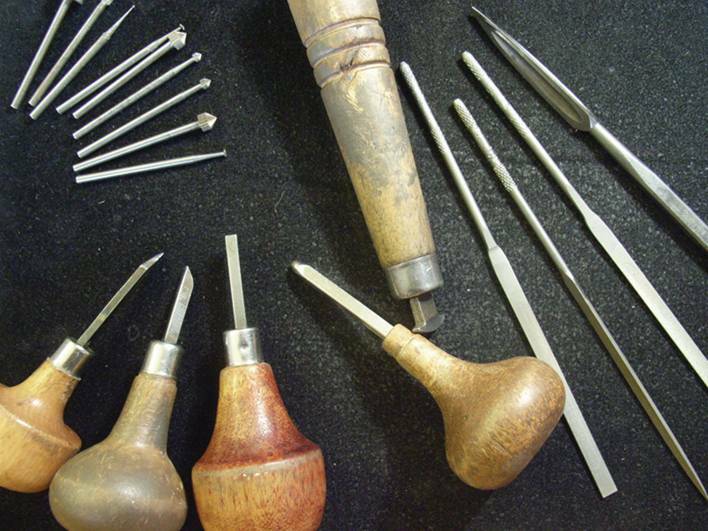 Stone setting burrs are not just for making your own settings or for flush settings, they have a multitude of uses and are brilliant for gradually grinding away a little metal allowing the stone to have a better fit. Burrs are essential if using a cast settings which are generally thicker as the methods above would not be suitable for these. Using a burr would also be much neater and efficient. 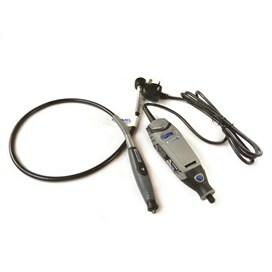 Our stone setting burrs are perfect for using with a Dremel Multitool, ideally, use them with a flexible shaft as it will allow you more control. Go carefully though if you are using die struck bezel settings as these are made from thinner metal so you don't want to be heavy handed and find you have burred right through the wall of the bezel! 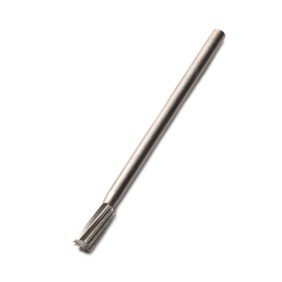 Stone setting burrs come in various shapes and sizes, a cylinder burr is a good shape to use for the above method. Can you check the size of stones before sending them out? We want to be as helpful as we can so if you specifically request that you want an exact size or you need a stone to easily fit in a setting we will be happy to help however we can - within reason. Our team at Kernowcraft want you to be happy with your orders from us and we know that when you are a beginner and just starting out you may like to start with an easy setting where little or no adjustment is necessary, if so just talk to us (give us a call on 01872 573888) and we will be happy to advise and make sure you get the best stone or setting for you. In the shopping basket you will notice a pencil icon and the words 'Add special instructions' next to each item in your shopping basket, you can use this feature to add a message regarding that product which the person personally picking your order will be able to see. We would suggest that you do make sure your phone number is included on your order in case we need to contact you about your request. We respect your privacy and will never share your details with other companies and will only call you regarding your order. It's all a learning process and you will make mistakes... and it is very frustrating, but just remember everyone makes mistakes and it's part of the process of learning. Without making mistakes you wont know how to do it better next time, and as they say - practice makes perfect!